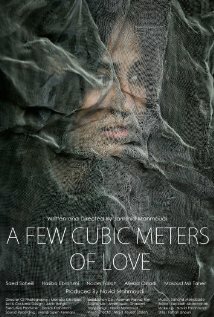 A Few Cubic Meters of Love (Persian: چند متر مکعب عشق‎, Chand Metre Moka'ab Eshgh) is a 2014 Iranian-Afghan romance film directed by Jamshid Mahmoudi. It was selected as the Afghan entry for the Best Foreign Language Film at the 87th Academy Awards, but was not nominated. Abdul Salam is an Afghan immigrant. He is working and living with her daughter Morona in a workshop. ^ "A Few Cubic Meters of Love". Dream Lab Films. Retrieved 6 December 2014. ^ "Iranian-Afghan movie submitted to Oscar". Iran Daily. Retrieved 17 January 2015. This article related to Afghan film is a stub. You can help Wikipedia by expanding it. This page was last edited on 15 October 2016, at 09:33 (UTC).